Last year can be summarised as a period of marginal growth for air cargo demand, despite the strong first quarter, according to one analyst. In its monthly market update, analyst WorldACD said that volume increased by a “meagre” 2% during the full year despite starting the year strongly because of strike action at US west coast ports. Meanwhile, yield was down by 15% for the year largely as a result of declines in the price of oil and associated fuel surcharges. WorldACD said: “Worldwide growth dwindled from one quarter to the next: from 4% in quarter one via 2.5% in the second quarter, it petered out to a mere 1% volume increase in both the third and fourth quarters. “One bit of consolation, though: the December month saw an uptick of 2.1% in volume year on year, combined with a month-on-month decrease in dollar-yield in line with the regular December pattern. “The 2015 pattern in the various origin regions was varied. The Americas showed negative growth for the year as a whole, whilst Asia Pacific entered this danger territory in the last quarter only. “Africa just stayed in the positive figures, whilst the Middle East and South Asia showed up-and-down growth across the four quarters. Another trend noticed by WorldACD was that the top-20 forwarders saw their worldwide market share further decline, from 44.5% in 2014 to 43% 2015. “But Kuehne+Nagel and Nippon Express were the high flyers among the big guys, chalking up serious increases in their shares, directly followed by the likes of DSV, SDV, CEVA and Expeditors,” WorldACD said. General Sales Agents (GSA) also had a strong year as their sales grew by 5% in 2015. 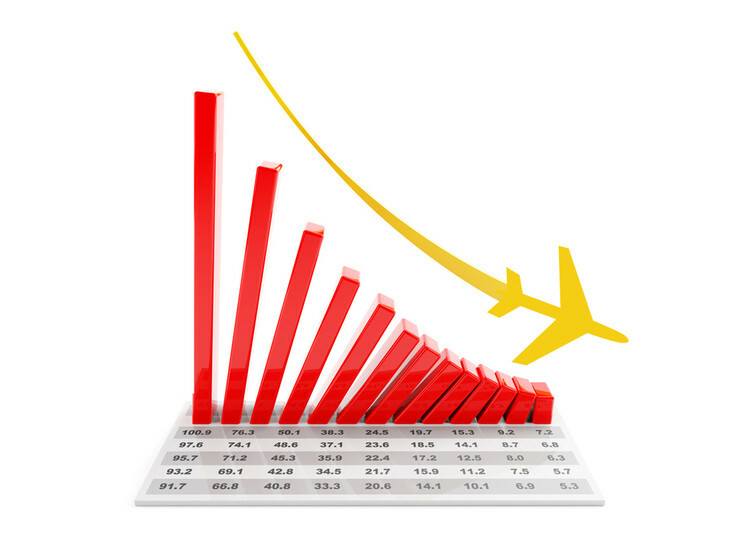 “It seems safe to say that air carriers to some degree seek alternatives to filling their capacity via their own sales organisations,” WorldACD said of the growth in GSA sales.